"At the Louisiana School for the Deaf and Visually Impaired (LSDVI), we take eating healthy seriously. Our staff is committed to serving students nutritious, visually appealing and tasty food. We want Louisiana Fit Kids!" says Carolyn Bell, RDN, CSSD, Nutritional Services Coordinator for Louisiana School for the Deaf and Visually Impaired. 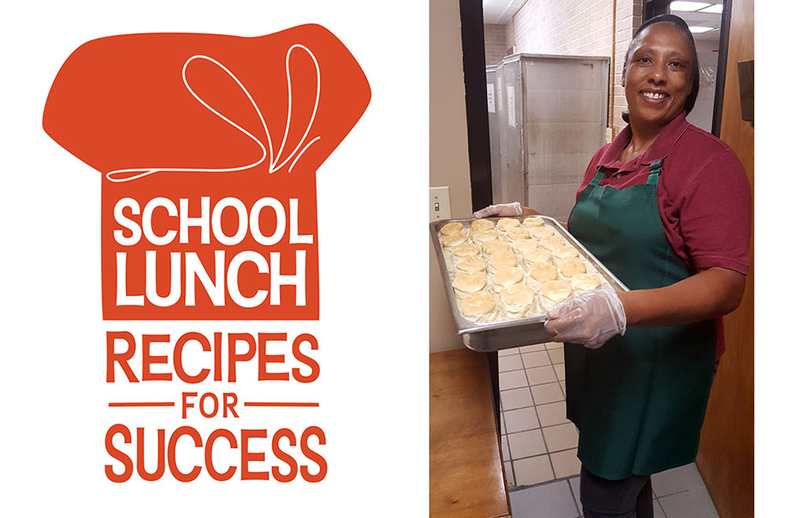 For the 2017-18 school year, LSDVI added new recipes from the USDA What's Cooking Recipe Database to their lunch menu. The Homemade, Chicken Pot Pie, Recipe #D190 is one of the students' favorites. It is prepared from scratch on-site at LSDVI. "It’s important for us to highlight colorful and attractive fruits and veggies to students. We encourage them to try these vitamin and mineral powerhouses. We’ve even added smoothies to our breakfast menu – the kids love them!" says Carolyn Bell.